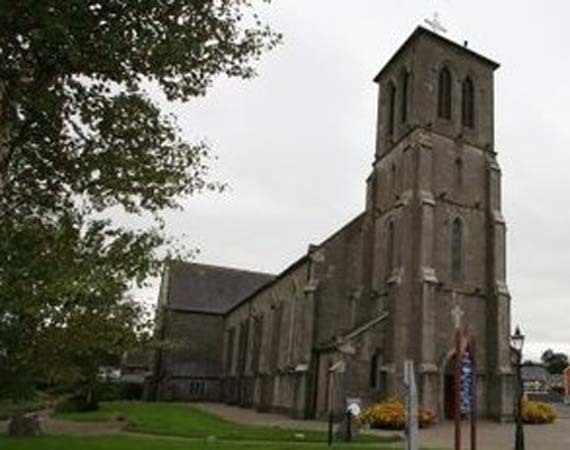 Great Connell was the site of an Augustinian Priory dedicated to Our lady and St. David, founded in 1202 by Myler Fitzhenry, a grandson of Henry I. In 1205 King John confirmed the grant made by Fitzhenry to the Abbey of Connell. 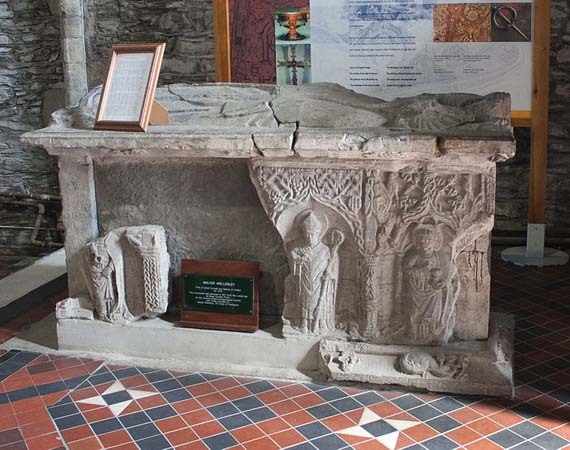 A sister house of the monastery of Lathony in Wales, from whence monks came to Great Connell. 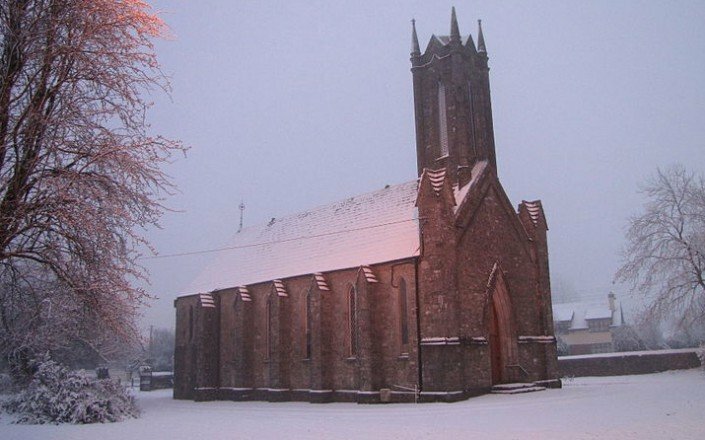 This tradition became law in 1380 by an act of Richard II, when like all monasteries in the Pale, it was forbidden ” to admit mere Irishmen to profession. ” However, this rule was not always adhered to, as Gaelic names can be found amongst the canons of the 15th century. Great Connell’s most renowned Prior was Walter Wellesley, who was also Bishop of Kildare, having been appointed to the See in 1529. He held these two positions up to the time of his death in 1539. 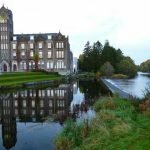 The monastery survived the Act of Confiscation in 1537, when Wellesley asked that it not be suppressed, as it was united to the Bishopric of Kildare. 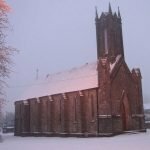 Evidence that a church existed here at one time was re-inforced by the Kildare Archaeological Society’s findings, which discovered evidence of a site at Murphy’s farm at Ballymany. An article in their Journal of 1905 described the existing ruins as ” consisting of a foundation of an ancient edifice which shows it to be 25ft. in length, 18ft. broad and the walls are 3ft. thick. ” The article also reported that older people living in the area remembered the ruins of an old church being in existence up to 50 years earlier (1855). No remains of the walls or foundations are now visible, though the location of the church corresponds roughly with the Ballymany church site referred to in Taylor’s Map of 1783, between the main Newbridge-Kildare Road and the Green Road. However, this is now though to have been a Protestant Church, which was adjacent to the Catholic Chapel at the time the map was drawn. 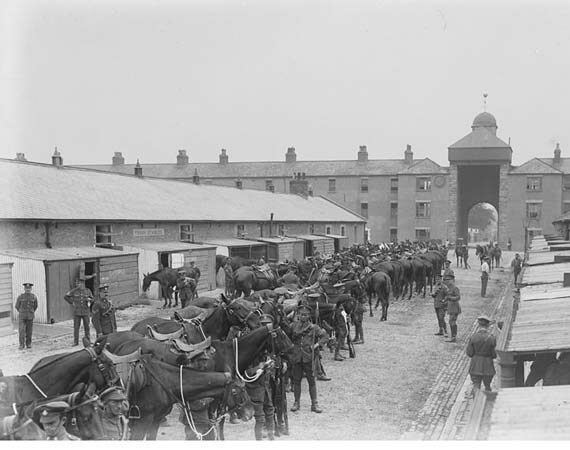 The barracks was occupied by the British Army until 1922. 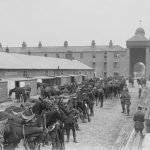 Many famous cavalry regiments were stationed here and one of its most famous soldiers was Lord Cardigan, who was stationed with the 15th Hussars in 1832. He later led the charge of the Light Brigade in the Crimean War in October 1854. A description of the town in 1837 said it ” consisted of only one street, with a constabulary police station, a dispensary, and an R.C. chapel with a friary, but it is yet in its infancy and there is every prospect of its increase. 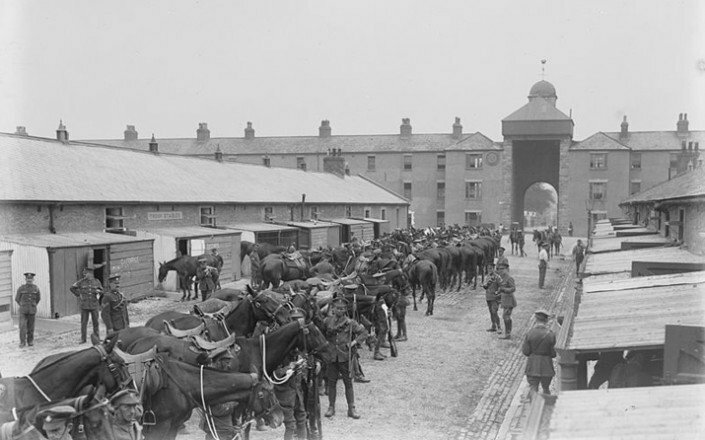 ” The arrival of the barracks heralded the growth and development of Newbridge. The demand for labour during its construction led to population growth, while the maintenance of both the barracks and its occupants ensured the prosperity of the townspeople. The Irish Ropes factory has been producing carpets since September 25th, 1933. It has made carpets for such famous places as Buckingham Palace, Liberty Hall, and the University of Miami to name but a few. 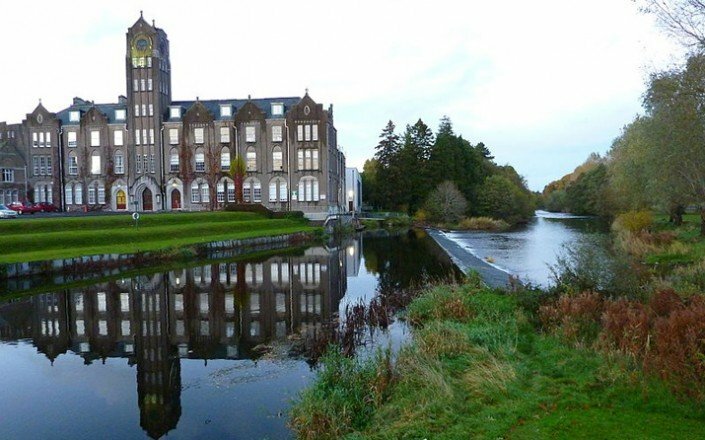 Newbridge Cutlery, Bord Na Mona, Curragh Tintawn, Oral B and Wyeth Medica are also situated in this booming town. The County Library, Athgarvan Road, Newbridge, is the location for the Kildare Heritage & Genealogy Company which provides a research service for those wishing to trace their family history. This is the only Greyhound Track in County Kildare. Newbridge Dog Track is at Hawkfield, only one mile from the town. Race meetings take place every Monday and Friday at 8p.m. Silverware has been crafted in Newbridge since 1934. The passage of half a century has changed little. Craftsmen with a lifetime`s experience fashion the finest materials with traditional skills and loving care. This silver has seduced sheikhs, served sultans, pampered princesses and reflected the gaze of barons and bards. The extensive range of Newbridge Cutlery, Jewellery and other Silverware can be seen at the Silverware Visitors Centre, just off the industrial ring-road, which is open 7 days a week. 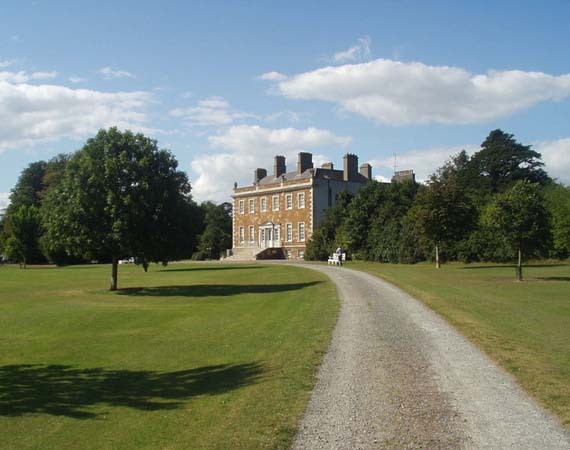 Droichead Nua Sports Centre is fully equipped with facilities for tennis, badminton, hockey, indoor football, aerobics and judo. Relax on the sunbed or in the sauna. There are Summer, Easter and Christmas camps for children. The Keadeen Hotel has a gym equipped with the latest gym equipment, and they also have some excellent gym instructors. There is also a swimming pool.. The Keadeen is situated on the road to Kildare.